Are you tired of starving yourself to no avail? Everybody who tries starvation diets ultimately gains the weight back because the body starts to store fat, making it impossible to lose weight beyond a certain amount. But, we’re not here to discuss that. What we’re going to talk about is a new weight loss method that has been garnering a lot of attention recently – the 3-day military diet. The military diet promises that you’ll lose 10 pounds in 3 days. It was become popular after DietOfLife published the first version of it in the beginning on 2017. Here you can find the original diet article. Now I know what you’re thinking: “In order to do that, I will probably have to buy expensive and exotic foods or dietary supplements”. But the truth is, it’s free and all the food ingredients on the military menu can be found in almost every household. Before I explain a bit more about the 3-day diet, you should know that it’s not related to the military whatsoever. Therefore, if you hear someone saying it was created by nutritionists in the American military for the soldiers, they’re lying. 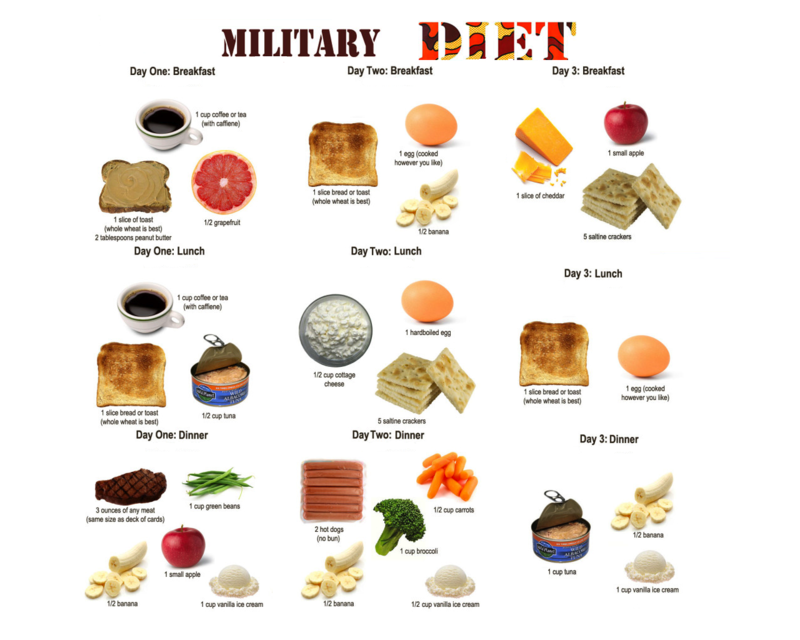 The military 3-day diet, also known as the army or the ice-cream diet is a low-calorie diet that consists of two phases. On the first 3 days of the diet, you’re supposed to eat the suggested foods which will help you lose the weight, and during the rest 4 days off the diet, you should stick to either a 1200 calorie meal plan for women, or a 1500 calorie meal plan for men. The second phase is also called the maintenance phase because you’ll be trying to keep the weight off. As stated above, the military weight loss diet works on two phases. Throughout the first, you’re eating considerably fewer calories than before, which means you have more space to burn. And the second relies on a specific food combination which boosts your metabolism and gives your body the required chemical balance. The number one obstacle to losing weight is fat. Nevertheless, there are two kinds of fat you consume: a good and a bad kind of fat. The former is called fatty acids, which are crucial for a healthy body. These can usually be found in peanut butter, nuts and certain kinds of fish. The latter, on the other hand, is called saturated fat or trans fatty acids. These can be found in sugary foods such as cupcakes as well as unprocessed meats. Foods rich in trans fatty acids cause a redistribution of fat into the abdomen and lead to higher body weight. Since the military diet is a low-calorie diet, your body will have no choice but to burn the stored calories for energy. The 3-day period of intensive calorie restriction makes it a form of intermittent fasting. Don’t let that frighten you, though. Intermittent fasting is strict dieting pattern for a short period after which you return to your normal eating habits. Furthermore, the main reason for the success of this diet is boosting the metabolism. You have to burn a number of calories during the day in order to lose weight. And the rate at which your body burns calories is called the metabolic rate. So the reason why some people can eat like a horse without gaining weight is that their metabolic rate enables them to burn calories more quickly. The military meal plan consists of foods which promote fat burning and are rich in calcium, protein and high level of fiber. This combination of foods makes your metabolism function at optimal levels. The military diet plan opts for calcium-rich foods because calcium is believed to burn fat quickly. Moreover, consuming protein makes your body use up a lot of extra calories. And last but not least, foods with high level of fiber kick-start your metabolism and are rich in vitamins and nutrients. The military meal plan is so simple that you can probably find half of the required ingredients in your fridge or cupboard. You just have to follow this diet plan while doing a little aerobic and lifting exercise, and you will achieve your desired weight loss goals. Each meal has a very low-calorie count and a right amount of carbohydrates, proteins and fatty acids which help your body lose fat. It may sound too good to be true, but this diet has everything you need to start losing weight quickly. Although the meal plan is strict, it’s easy to follow. 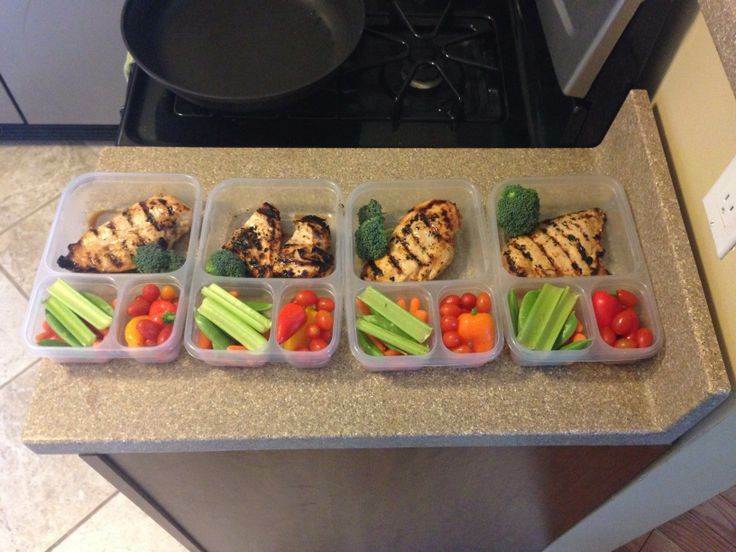 This is the first day of the 3-day diet plan. It contains around 1300 calories. 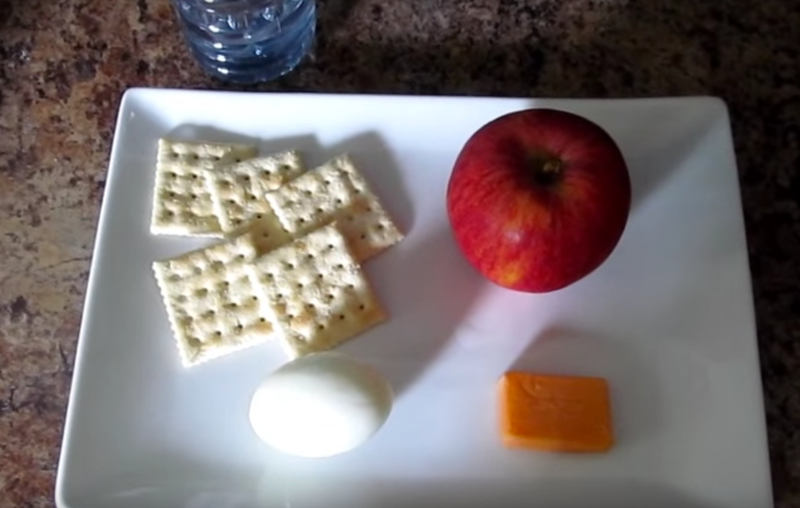 Here’s what you’re supposed to eat on the second day of the military menu. It contains around 1100 calories. 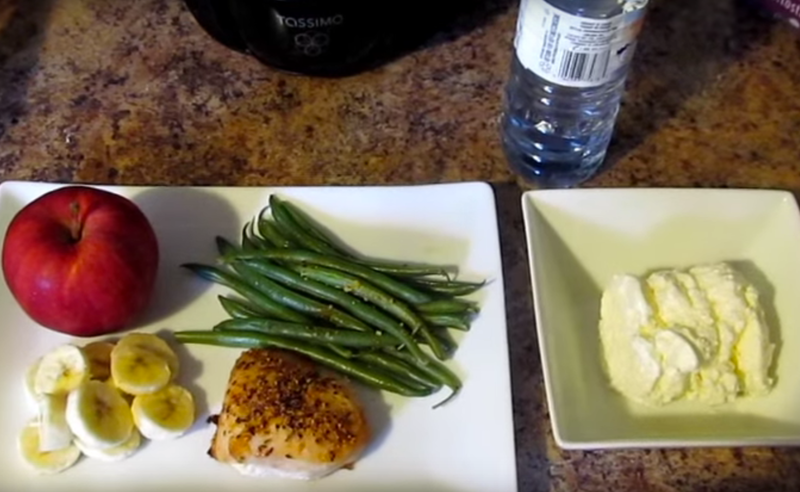 This is one of the easiest diets to follow because all of the meals are clearly laid out. You can replace the hardboiled egg with scrambled egg, but be careful not to add any salt. Furthermore, you can substitute the cottage cheese for 1 slice of cheddar cheese. There’s a solution for vegans and vegetarians too because the meat and tuna can be swapped with tofu, lentil or additional cottage cheese. However when you’re making a substitution make sure that you’re not adding more calories. So don’t go overboard with 4-5 slices of cheddar cheese. If something contains a certain amount of calories, you should replace with something which has the same amount of calories. During the four remaining days, you’re supposed to limit your calorie intake to just 1500 calories a day. Nevertheless, you aren’t limited to the foods mentioned above. As long as you don’t exceed this limit of 1500 calories and stick to healthy foods, you can choose different options. It’s a good idea to keep a notebook and record your daily calorie intake and the kinds of food you’re eating. Drinking a lot of water is also recommended during both phases. In fact, water is important in any diet. On average you should drink 8 glasses of water or 2 liters a day. Although the military diet doesn’t require exercise, most people would recommend it. Many dieters often forget that dieting is only half the effort. If you want to boost your metabolism, a little exercise is crucial. This doesn’t mean that all of a sudden you’re supposed to hire a personal trainer, become a bodybuilder and spend countless of hours in the gym. All you have to do in order to achieve the desired weight loss results is cardio and lift training. It’s preferable to start your workout with cardio exercises. You can also jog around your neighborhood or run a bit on the treadmill. But be careful not to push yourself too hard. If your body starts to burn too many calories it will turn to burning muscle. Thus, it’s best to limit your cardio exercise to about 20-30 minutes. After you’ve done some cardio, it’s time for weight training. Lifting will help convert that undesired fat and extra calories into lean muscle. If you’re aiming for a rewarding experience don’t think of your workout routine as a chore. To keep up with your exercises choose a set time of the day and make it your workout time. In this way, you won’t fall behind and you’ll slowly work towards making it part of your basic routine. If heavy working out is already part of your daily routine you can keep up with it. You should just have in mind that you will feel weaker on the 3-day strict dieting. It would be best to exercise during the second phase when you have more energy to burn through. Don’t snack. If you’re among those who tend to eat a bag of potato chips or chocolate late at night, you should try to find a way not to do it. If looking at the chips makes you feel tempted, throw away any unhealthy snacks and junk foods in your house. Don’t drink alcohol or sweet drinks. Alcoholic or sweet drinks contain nothing but empty calories. So whenever you feel like having a drink, you can drink a glass of warm water with lemon. Don’t overeat on the second phase. If you go overboard with food throughout the remaining 4 days, you will just ruin all the progress you made. Even though it’s hard to say no to pizza or donuts, try to put those urges under control. Follow the meal plan faithfully. There’s a reason why the meals are laid out the way they are. They are specifically designed that way to work. So you shouldn’t tweak the diet plan. Get a diet buddy. 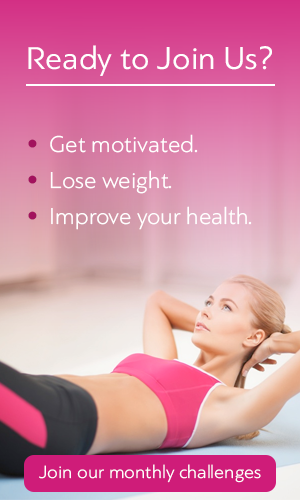 If you happen to know someone else who wants to lose weight, persuade them to do the diet with you. Having a diet buddy is helpful because you’ll have each other’s backs and make sure nobody is “smuggling” some late night nacho chips or chocolate. You’ll also see it’s easier to work out if somebody else does it with you. Well, since the actual diet lasts for just 3 days, I’d say it’s safe for the average person. However, if you start following it like crazy for months, then you might find yourself in trouble because of the lack of nutrients from the low-calorie diet plan. So, it’s not advisable to put yourself at risk by doing this. My personal advice is to do it for a week, leave a gap of 3 days and then start the dieting cycle again. Don’t skip the maintenance phase since it’s very crucial for your overall health. And when it comes to sustainability, unfortunately, you can’t keep the weight off for long because this is a short-term diet which doesn’t help you change your eating habits. This means your weight loss results won’t last much if you return to your eating habit. All in all, the military 3-day diet is safe, but it’s not meant to be followed for months. The key to any long term weight loss goal is maintenance. If you stick to a healthy eating regimen, you’ll definitely be able to achieve your weight loss results and maintain them. Losing 10 pounds a week while eating ice cream at the same time, does sound a bit absurd, I’ll give you that. It’s completely understandable that you’re having second thoughts about this diet. If you want to clear your doubts you can always do some research on the internet. 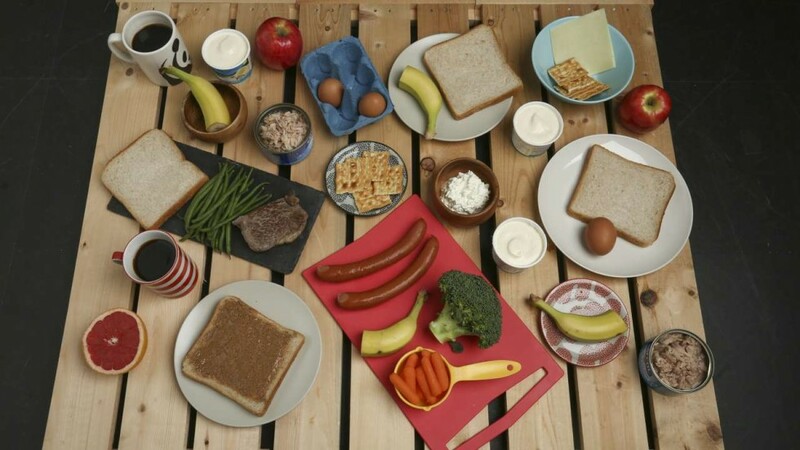 There are many websites dedicated to explaining the science behind the military diet. You can also try to read some blogs from people who’ve already tried this diet. 3-day diets have actually been around for years, so it’s not something new. But that doesn’t mean it doesn’t work. Compared to other 3 day diets, this weight loss diet allows you to consume a bigger amount of calories. Can you believe that some diets have meal plans as low as 800 calories per day? An extremely low-calorie intake will result in a deficit of energy and damage to your body in a long run. Most of the people who tried the military diet reported that it’s possible to lose a substantial amount of weight in a short period. As I said in the beginning, the military diet is quickly gaining devoted followers thanks to Pinterest, Facebook, Youtube videos etc. But how to know who can try this diet and whether it will be right for you? Before diving into this popular dieting regimen, maybe you should check if you fall into any of these categories. Firstly, the military diet is absolutely perfect for those who don’t want to be bothered with overly complicated meal plans, food weighing, and workout routines. Most diets have meal plans where the dieter is left with many decisions. While this idea may sound good in theory, it can lead to people falling behind or cheating. The 3-day diet has a precise meal plan, so there’s not a lot of room for error. Even though being told specifically what foods to eat might be a bit restrictive, I believe it’s worth it, if it will get you the results you want. Secondly, this diet is not recommended for those who don’t have a strong determination. The strict dieting regimen may last for just 3 days, but it’s really tough. The low-calorie intake alone is enough to make people give up because it is significantly different from what you are used to. Be prepared to feel extremely hungry, which can lead to irritability throughout the day. If you feel like you don’t have what it takes to endure those first 3 days, then maybe you should skip the military diet. Thirdly some people will love the military diet because it doesn’t require cooking big, expensive meals for dinner. Furthermore, the meal plan is incredibly easy to prepare. If you can manage to open a can of tuna and hard boil an egg, then you will have no problem preparing the meals. And last but not last, if you’re not willing to spend a lot of money on dieting, this diet will definitely appeal to you. Many diets rely on buying expensive and exotic food products that sound healthy when you could get just as much nutritional value from much cheaper food ingredients. All things considered, if you’re after long-term weight loss results, maybe you should sit this one out. But, if you want to lose some pounds quickly for an upcoming formal occasion or event, or you just want to show off your beach body, then the military diet is the best weight loss diet out there. While it is certainly a rigorous program, the results are very promising. When you’re on the diet you may feel angry, irritated or hungry, but the end results will be worth the effort. The best way to lose and maintain weight is by changing your eating habit.